Imagine walking into your dorm room at the end of a long day. You get ready for bed, brush your teeth and apply lotion. The faint smell of — moldy clams? — doesn’t quite hit but lingers questionably in the air. You want to ask your roommate if she smells it too, but can’t find the strength to speak ― your throat’s been feeling worse every day to the point where even whispering is a struggle. This was Chennel “Jazzy” Rowe’s reality for the first part of her semester as a first-year student at the University of Hartford. Rowe now thankfully has her voice back — and a story that makes all other “roommate from hell” stories seem tame. Rowe’s roommate, Brianna Brochu, spent the past month and a half in a cruel frenzy of abuse, reportedly bragging on Instagram about spitting in Rowe’s coconut oil, contaminating her lotion with moldy clam dip, shoving her toothbrush “where the sun doesn’t shine,” rubbing used tampons on her backpack and other abominable moves. Added to the viciousness of the acts themselves is a racial element — Rowe is black and Brochu is white. And West Hartford police told the Hartford Courant last week they were bringing hate crime charges against Brochu. “I can finally say goodbye to Jamaican Barbie,” Brochu wrote in her post. It’s hard to imagine how someone would consider a case like this a mere act of “bullying.” But that’s exactly how University of Hartford President Greg Woodward saw things. He called Rowe an “alleged victim of bullying” in an Oct. 31 message to students at the school. Of course, bullying is seriously damaging and no one should take it lightly. But when one student is intentionally poisoning another by spreading mold and bacteria on her belongings, using a broad term like “bullying” only downplays the severity of the situation. And everyone involved — both university administrators, who downplayed and neglected Rowe’s case until it received national attention, to other students around Rowe and Brochu who allowed it to go on — deserves a share of the blame. There’s bullying, and then there’s poisoning to the point of permanent physical damage. As she unknowingly underwent graphic abuse from her former roommate, Rowe developed a sore throat that kept getting worse. She took antibiotics from the student health center. Her doctors had no idea what the source was of her bacterial infection, and no one thought to point fingers at Brochu until fellow students clued Rowe into the heinous things her roommate did while she wasn’t there. Generalizing Brochu’s crimes isn’t the only red flag in how the university handled the situation. Woodward assured students that Public Safety kept Rowe safe as soon as they learned what was happening, but he failed to mention that the school also asked Rowe not speak up about what Brochu did to her. Rowe learned about her roommate’s vile behavior when she moved out Oct. 17, and went to Public Safety about the issue. The university had Rowe sign a “do not contact agreement” the next day, meaning she would not be in communication with Brochu. Brochu wasn’t taken into custody until Oct. 28. And even then, it wasn’t because of actions on the part of police or the university — Brochu turned herself in. Luckily, Rowe couldn’t stand to be quiet. Her Oct. 30 video garnered nationwide social media support, leading to the #JusticeforJazzy hashtag. In her video, Rowe called for action from the university. It shouldn’t take a pandemic hashtag to get a university to speak up — Woodward only sent his message to students the day after Rowe told her story online. But the issue is larger than the university’s inaction. Though the university should’ve handled the situation head-on, there’s another group to blame that hasn’t gotten as much attention — Brochu’s friends. 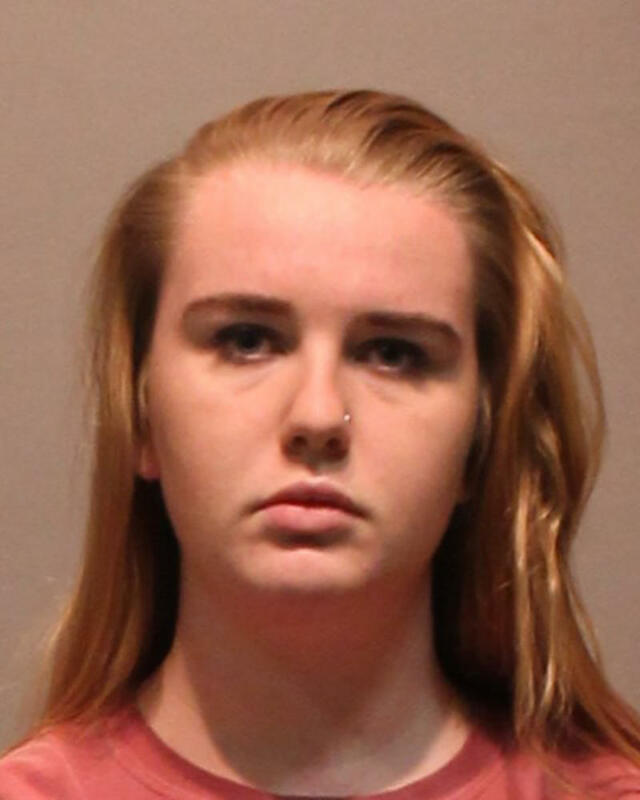 The twisted roommate made several posts on Instagram throughout the semester, featuring videos of Rowe eating with her contaminated utensils and photos of her bloody backpack, bragging about her accomplishments. Brochu even appeared in some of the posts herself, suggesting that a friend would’ve needed to be there documenting it. When Rowe moved into another room, several residents approached her with the posts Brochu had been making all semester. Rowe had never seen them before. Though the account currently has only 57 followers, that’s 57 people who could have known what was happening to Rowe all semester. And none of them said a word. TV producer Shonda Rhimes agrees by not speaking up, her friends allowed the situation to fester and are to be blamed. The problem runs deeper than the situation between Brochu and Rowe, and an answer could revolutionize how we deal with bullying, sexual assault and racism — issues ravaging college campuses everywhere. It’s a shame that it took nationwide poking and prodding to get the University of Hartford to handle Brochu’s crimes with the urgency they should’ve had from the moment they learned of them. But in the absence of administrative accountability, students need to step up to prevent such long-term, repeated abuse. If we don’t care, universities won’t either.